What’s the key to winning the Girl’s ROC? - A strong top five with multiple front runners. Each of the past three years the championship has been won, it was not won by the team with the best spread and the most depth, but rather the team with just the best five, but that also had a couple of studs in front. 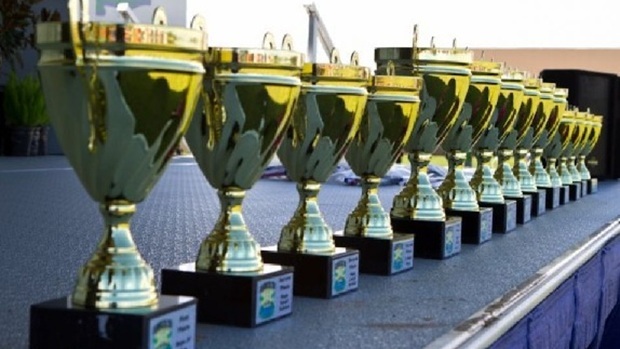 The last three years the #5 runner on the winning team has finished in 38th, 32nd, and 36th places, but let’s explain why depth isn’t the main factor. Because in 2010, Estero placed six runners inside Lakewood Ranch’s #5, but LWR still got the W. Even more unbelievable was in 2011 where Ferguson actually placed seven runners inside Estero’s #5, but couldn’t get the win either. Why? They had the depth, but no front runners. Besides having that strong top five, each of the championship teams have been able to place 2-3 girls in the top 15 scoring finishers each year; unfortunately for the second place squads they were unable to do so even with great depth. There was only one top fifteen finisher for Estero in 2010 and only one Fort Walton Beach in 2012, and there were none for Ferguson in 2011. So the key is clear, you need to have a few top-tier studs, and then have a couple more packing in right behind them. That’s as simple as it gets! The 2011 Estero girls who won their first ROC after a heart breaking loss by one point in the 2010 Race of Champions. What’s the key to winning the Boy’s ROC? - Depth. Different from the girl’s side, each of the past three championships have been won in somewhat different fashions as it pertains to front runners. In 2010 Belen only had one boy in the top 15 scoring finishers; while in 2011 they demolished the field with four in the top nine! Then in 2012, they backed down to just two in the top ten. But no matter how you slice their top-tiered athletes, the fact remains that their #5 has just been faster than everyone else’s each year running 16:39 for 2010, 16:25 for 2011, and 16:34 for 2012. And if that wasn’t impressive enough, for 2011 Belen truly showed how strong their depth was by placing their #6 and #7 runners (16:27 and 16:47 respectively) inside the #5 runner of the second place team Christopher Columbus. 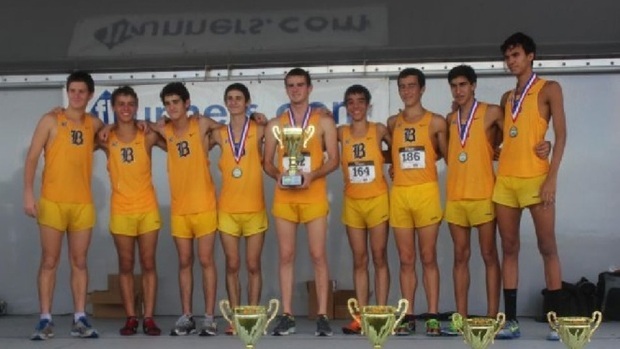 Not to be outdone, in 2012 besides getting their #7, 16:49, inside the runner-up Fort Myers team’s #5, Belen also placed their #6, 16:46, inside the Fort Myers #4. If that isn’t real depth, particularly for the magnitude of a meet like this, then I don’t know what is! So if you want to win on the boy’s side, here’s the key, you better be the deepest team out there, and that means a #5 that can break 16:40 with your #6 and #7 running under 16:50 too. It’s just that easy! The 2012 Flrunners ROC Team Champions from Belen Jesuit. Their third consecutive ROC title, and fourth title in five years. So now that we know the formulas to team success in the flrunners Race of Champions, let’s look at this year’s previews! In this year’s ROC, 25 schools are competing including 12 of the top 18, and more impressively six of the top seven teams, as they are currently ranked in the flrunners.com database. This has to be the most competitive race in flrunners.com history just based on those numbers alone. But what’s even more amazing is how Estero looks most dominant than ever based on the virtual meet preview. After their two fantastic wins at UF and North Port, Estero is poised to win their third straight ROC race. And do they fit the formula to success listed above? You bet they do! Currently listed with their #5 in the 28th slot, with four girls in the top nine! And if that wasn’t amazing enough, based on season best’s for the 2013 season the Wildcats top two girls, Araceli Leon and Bethany Jenkins, are seeded first and second respectfully. This is their meet to win once again! Following that note at the end of the first paragraph of the Team Preview about Estero’s top two runners, Leon and Jenkins, two girls with current all classifications rankings at 2nd (18:21) and 3rd (18:27) in the state, let’s not forget about the next seven best girls in the state, rounding out the top ten right now, who will also be contending for the win! That would include #4 Karen Xiang (currently undefeated in 2013) of Nease, 18:30; #5 Alexa Cruz of St. Thomas Aquinas, 18:32; #6 Caroline Barlow of Gulf Coast, 18:33; #7 Emily Edwards (the current defending champion) of Fort Myers, 18:35; #8 Devin Molloy of Barron Collier, 18:37; #9 Hannah Brookover of Calvary Christian, 18:40; and #10 Emma Rudman of Fort Walton Beach, 18:40. Only 19 seconds separate these top ninecompetitors so expect a very tight race! 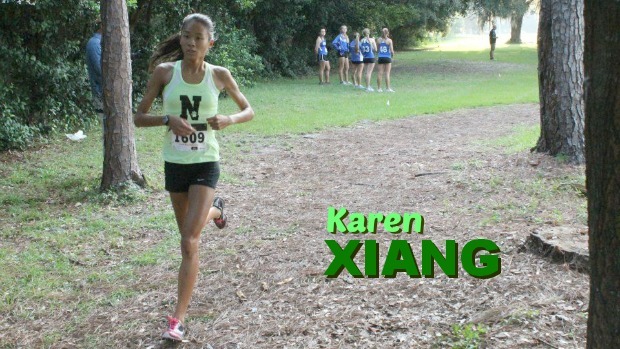 Check out the article posted last week: Karen Xiang: Get To Know Nease's Newest Star! On the boy’s side we have a lot of similarities to the girl’s side for both team and individual previews, on the team side of things, once again we have what has to be the most stacked race in flrunners history as 13 of the top 16 teams are currently going head-to-head in this 24 team race. And just as on the girl’s side, there is one team that perfectly fits the mold of what it takes to win based on current season results so far, but the shocker is that it’s not Belen! Unfortunately for the Wolverines, they’ve been dealing with a couple of injuries to key athletes in their top pack, but that’s just fine for the team I predict to bring home the championship and that would be Trinity Prep! Although, looking at the rest of the field, it’s technically a pretty close meet. Fort Walton Beach (3rd last year) is actually only 16 points behind Trinity Prep (4th last year) in the virtual meet. A little ways back, is a four pack of South Florida teams, the west coast Estero team (5th last year), and three east coast squads of Belen Jesuit, currently undefeated in 2013 and has won flrunners four of the last five years; Miami Sunset, who has three consecutive runner-ups this year behind Belen, 8th last year; and St. Thomas Aquinas, who hasn’t had a major race since their big win at UF. Then of course you have Niceville, who actually beat Fort Walton Beach at Alligator Lake last week, and of course there is Mandarin, who started off the year at #1 but has been under the radar since, I mean this really could be anyone’s race! But wait a second, why did I pick Trinity Prep again? Here’s why: Sure it’s easy to just say they’re ranked #1 in the computers, but let’s look at why they’re the team to beat. Although they amazingly don’t have a boy listed in the top 20 finishers, their 16 second spread from runner #1-6 more than make up for not having a front runner. But remember as we learned earlier, this is not the girl’s race where front runners matter, this is the boy’s race where DEPTH matters more than anything! So let’s double check out comparison stats, shall we? Five runners under 16:40? Check! They have six. Number seven runner under 16:50? Check! He’s at 16:42. Seventh man inside #2 ranked team’s fifth man? Check! TP’s #7 at 16:42 edges Fort Walton Beach’s #5 at 16:47. Well, I think that’s all I need to see. I’m sticking with TP. As I stated in the team preview, here’s the similarity with the boys race as compared to the girl’s race, not only does the individual championship appears to be between so many stud athletes, eight for the boys, but these top ranked boys are also only separated by a mere 22 seconds between them! So once again, another tight race for major individual honors! In this race you will see, based on current all classifications rankings, #3 Tyler Bennett of Fort Myers (currently undefeated in 2013), 15:24; #4 and #5 from Niceville, Nickolas Morken at 15:29 and Thomas Howell at 15:31; #6 and #8 from Sarasota, Zachary Summerall at 15:32 and Adam Bradtmueller at 15:39; #9 Manuel Velasquez of St. Thomas Aquinas, 15:42; #10 Nick Diaz of Miami Sunset (currently undefeated in 2013), 15:43; and #11 Connor Ferrentino of Orlando Freedom, 15:46. Now in trying figure out which boy gets the individual honors, the odds on favorite has to be Tyler Bennett. Although you do have a couple of tough tag-team duos right behind him with the Niceville and Sarasota boys, it seems as if Bennett is just running on another level compared to his competitors, whoever they might be. Why? Because of a couple major invitational wins by convincing margins over some tough competition. This includes two of his competitors for this upcoming week, such as an 18 second win over #9 Velasquez at UF Mountain Dew, and an 8 second win over #6 Summerall at North Port. So there is something to be said about those athletes that can gut it out to win. Having said that, the only other undefeated athlete in 2013 making their appearance is Nick Diaz of Miami Sunset; although Diaz has three impressive wins so far, he hasn’t been north of Palm Beach County this season. This will always beg the question if his competition has been legitimate, but one thing we know for sure, the courses have been tougher. The real question is, however, are those courses 19 seconds tougher than those speedways up north? We’ll find out soon enough. FYI though, Diaz did drop 15 seconds from Spanish River to flrunners last year. So there’s something for everyone to ponder over when picking their winners for this weekend’s race. Tyler Bennett from his first major victory of the year as he won the UF Mountain Dew Invitational in a time of 15 minutes and 24 seconds.